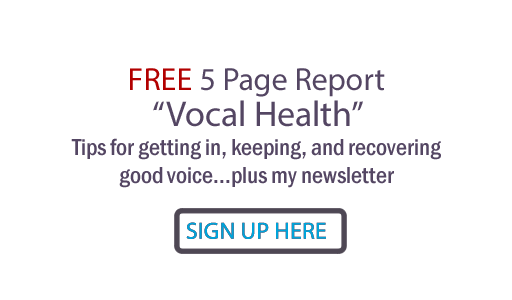 If you are trying to find a vocal coach that can help you obtain the vocal healing, improvement and mastery you want, there are things you can look for to help you figure out who you want to work with. There are three types of credentials: academic, professional and student success. First of all, you should make a decision about the genre you wish to focus on... classical or contemporary. For classical voice, academic credentials can indeed be important.. they must be very knowledgeable about classical repertoire and how to perform the vocal sound required for authentic classical delivery. I gained a lot by studying Italian Art songs with my college professor. It helped me expand the power and range of my head voice, and I've used some of the soft palate lifting techniques with my own students who are excessively nasal, strained or thin-sounding. However, for contemporary singing, classical training can cause problems. Throat configurations and projection volume are different for the classics, which are largely unamplified, and contemporary styles, which mostly involve a microphone. Yes indeed, there are some academically credited teachers who teach all styles ... especially clear, bell-like voices needed in some jazz, pop and alternative genres. My own professional teacher, Gerald Arther, was classically trained. He taught not only me but most of the other session singers in Nashville. Interview your prospective teacher and find out what kinds of singers have been training under him/her. Taking classical voice from a voice teacher who has Metropolitan Opera credits is a great idea. Musical theater teachers should have a few performance pictures or posters from musicals around. If you are interested in contemporary singing (anything that's not classical) it is my strong suggestion that you look for a teacher with successful professional credits in contemporary voice. These teachers may or may not have academic credentials. While it's true that a lot of people can sing well that can't teach others, the best coaches have successful, practical experience behind the techniques taught. If you want to mix them up, it has been my experience that classical training is most helpful (and least problem causing to contemporary singing) if the singer has a lot of previous experience singing contemporary music before engaging in classical study. If a vocal coach has a string of stars he or she has been coaching, he/she may be a very successful and effective teacher, and careers may have been built by voices maximized by his/her instruction. Or... the coach may have a lot of big name people that were already singing great before they took lessons. These singers could even be worse off for the lessons! Hard to tell. Much better: Look for a vocal coach who has taken novice or damaged voices and made them better or brought them to mastery... or to successful careers they didn't have before training. Think about any singer whose voice you heard before and after they started taking lessons with a particular coach... can you tell a difference between what they sounded like before they started training and now? Ask them to candidly compare the way their voice has felt before and after. Is there less strain? Is their vocal control and range better? The absolute way to assess a vocal coach, of course, is to take a lesson. Then ask yourself the questions I just mentioned. You should feel you gained some vocal ground. At the very least you should be aware of some new techniques that you came to trust at that lesson which will make a difference when you get them under your belt. You should NOT feel vocally strained or worse than before the lesson. If you do... time to assess another coach!